The 1st Global Well Cem Conference on oil well cement and cementing has successfully taken place in Dubai, UAE, with 150 delegates from 37 countries in attendance. Founding sponsors included the API, the AUCBM, Lafarge, Repsol, and Trican. The 2nd Global Well Cem Conference and Exhibition will take place in Houston in 2015. Conference convenor Robert McCaffrey officially welcomed delegates to the event, which brought together oil well cement producers and users for the first time at a dedicated event. A small exhibition took place next to the conference room, with exhibitors delighted with the constant stream of visitors to their stands during the popular coffee break networking sessions. Joe Harder started the conference with a paper on market trends in oilwell cement. He pointed out that - particularly post-Macondo - the cement job in an oil or gas well has come under increasing focus: "In no case can the cement job be allowed to fail," he said. In the Macondo well, the foam cement slurry used was unstable, no cement bond log was run and numerous other oversights led to the failure of the well and tens of billions of dollars of damages. Around 10% of well integrity failures are caused by cement job failures. Challenges and requirements for well cements are increasing, leading to more failures. Global energy demand will grow by around 35% to 2030 while the remaining oil and gas targets are becoming increasingly difficult to access: tight gas and shale gas discoveries may come to drive demand for oil well cement. At the same time there is a clear trend towards deep water offshore wells, particularly in North and South America. Joe pointed out that US tight oil and gas will peak soon and will gradually decline to 2040. Joe suggested that more and more wells will be required to sustain production at high levels. Average well depths are increasing, while horizontal drilling lengths are increasing by around 12% per year. The global oilfield services market will grow by 7.7% per year to at least 2020, although well cementing is growing even faster: the global pressure pumping market is growing at around 25% per year, largely due to the booming tight oil and gas industry in the US. Cementing services comprise a $10bn market worldwide, growing fast. Over 100,000 wells were drilled in 2013, and all were cemented. There are about one million wells that are active in the US, and only 700,000 in the rest of the world, but the rest of the world will henceforward drive the growth of new wells. The market for oilwell cement (of around 7.7Mt in 2013) is growing at a rate of around 16% CAGR, with the most growth in China, Russia and Canada. Certainly China and the Middle East are the leading holders of the API 10-A oil well cement certification. 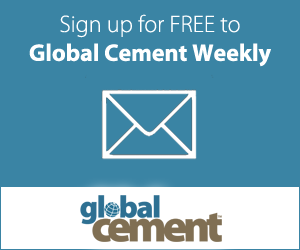 Lafarge, Holcim, Buzzi-Unicem/ Dyckerhoff, HeidelbergCement, Italcementi and Cemex are among the world's leaders in production. Major trends include well cement having to operate at higher temperatures and pressures than in the past, and also having to be used in conjunction with fracking jobs, with all the complexities that involves. There is a trend towards using uncemented pre-perforated liners with swell-packers, although a new cemented-liner frack design improves production rates by up to 75%. Shawn Adams of the American Petroleum Institute gave the briefly titled presentation "Why API?" The API is the primary trade association for the US oil and gas industry as well as a major certification and services provider for both upstream (to the refinery gate) and downstream (from the refinery). The API Monogram Programme is a suite of licensing and certification standards for manufacturers of oil and gas equipment and services, including oil well cement. Overall, China has the most licencees, with more than twice as many as the US, and still growing, with various types of valves leading the certifications. However, in terms of oilwell cement, the API licenses 80 sites for oilwell cement production around the world to API Spec 10A. Shawn's presentation left delegates in no doubt as to the thoroughness in the API's auditing process for oilwell cement. He mentioned a new API Spec Q2 for oilwell cementing (as opposed to Q1 for oilwell cement). Dr Heiko Plack of Dyckerhoff AG (part of Buzzi-Unicem) next gave a presentation on 'how to make consistent oilwell cement.' The company makes oilwell cement in Pryor and Maryneal in the US, at Lengerich and Neuwied in Germany, at Volyn in the Ukraine, at Sukhoi Log in Russia. Heiko Plack claimed that the first oil well was drilled at Wietze in Germany in 1858. He defined consistency as 'little variation,' but asked, little variation of what parameter, over which amount of time, and what is 'little'? All of these factors must be defined and controlled within agreed ranges with the final customer, to minimise the testing efforts of the customers. At the end of the day, there should be no sudden changes of important performance properties in a magnitude that adversely affects performance in the field. Consistency does not describe the good or bad performance of an oilwell cement: that depends on the design and origin of the cement. Consistency of a cement is related to the (little variation of) a physical and application-relevant performance of the cement. Heiko said that oilwell cement can be created to a number of different standards, but many other factors, such as additives and slurry design and not least the temperature of the application, can also significantly affect the performance of the cementing job. In fact, Dyckerhoff has implemented a thickening time test with a retarder at elevated temperatures as a governing QC parameter during production control and final inspection. Heiko mentioned that kiln line No 4 at the Lengerich plant and its associated blending facility are dedicated to the production of oilwell cement. Most plants produce oilwell cement in batches due to the relatively low sales volumes of oilwell cement. However, batch production can reduce the consistency of the produced cement, since kiln conditions have to progressively stabilise towards new cement production set-points. He explained how the Lengerich plant improved the consistency of its oilwell cement over a period of years, by increasing the length of production batch runs, by reducing the number of types of oilwell clinker from three to two, and through the separation of different qualities of produced oilwell clinker. Eventually the kiln was assigned solely for oilwell cement, producing '24/7,' while the capacity of silos used only for oilwell cement was increased and two small mills were dedicated for the production of oilwell cement alone. A QC expert system for oilwell cement raw meal and clinker, combined with mineralogy and Reitveld analysis gives a high level of quality control and increasing levels of consistency. Heiko Plack concluded that even 100,000t of production on a 2Mt/year plant is not enough to provide adequate consistency. "Newcomers often underestimate the extent and magnitude of the required production infrastructure and know-how for production of a consistent oilwell cement," he concluded. Hilal Al-Dhamri of Oman Cement next spoke about his experience of quality control for Class G oilwell cement. He pointed out that oilwell cement has a lower level of long-term strength producing C3A and consequently higher levels of early-strength-forming constituents, leading to well-controlled thickening times. Hilal pointed out that the raw materials selection is crucial to maintain both quality and consistency. There are strict restrictions on the levels of alkalis, sulphur and chlorides. There should be full control of the drying, preheating, calcination, formation of melt liquids and belite, clinkerisation and cooling in production of oilwell cements. Free lime must be kept to below 0.5%. High quality gypsum, of more than 85-90% purity must be used for intergrinding to control the setting and hardening of the cement. The Blaine value specified by the API is low, at 225m2/kg, to avoid flash setting. The milling temperature should not exceed 100°C, while there should be continuous quality control throughout the process. Hilal Al-Dhamri pointed out that oilwell cement has a higher price due to the higher energy consumption of the cement both due to the lower burnability of the raw meal and the decreased grindability of the clinker. He sees an increase in oilwell cement demand of around 20% per year in Oman alone. Ryan Lee Isava of Trinidad Cement next spoke about oil well cementing in the Caribbean, with its Class G cement, produced batch-wise from a dedicated kiln. The cement has a good retarder response, low free fluids, high sulphate resistance and has been used in wells as deep as 18,000 feet. Trinidad, Suriname and Belize are the most active Caribbean oil explorers and producers, and the company also sends its oilwell cement to Venezuela and has supplied to the US. Trinidad is the world's sixth largest LNG exporter and has 728 million barrels of proven crude oil reserves: all of the major cementing companies (and many smaller local companies) are active in Trinidad. The company offers its oilwell cement in bags, big bags and in containerised shipping from TCL's port at Claxton Bay. Jeff Chen of Lafarge next spoke about materials design of well cements. Jeff first pointed out that Lafarge is a global company, active on every continent and in 64 countries. The company has a technical budget of Euro120m with 1000 dedicated technical staff in one global and three regional technical centers. Agilia, Aether, Thermedia, Chronolia, Extensia, Ductal, Artevia and Hydromedia are all new building material innovation-based brands from Lafarge. The company has a global network of 11 API-certified well cement plants, with three in the US and two in Canada, while also producing oilwell in France, Greece, Malaysia, Egypt, Greece, Spain and Brazil. Jeff Chen suggested that "Materials design enables us to understand the link between formulation and final properties." Jeff pointed out that formulation affects microstructure, which then affects slurry properties. He said that both theory-based models and experimentation are important to predict microstructure from formulation, and then to predict properties from microstructure. Very little quantitative data is available on microstructure of cement slurries. He pointed out that the cement strength gain process is through the filling-in of inter-cement grains with hydrated mineral phases. It is of course critical not to have excess water in the slurry mix, since this will lead to water in voids in the hardened cement, and subsequent weakness. Jeff suggested that an accurate hydration model of the cement can lead to an idea of the microstructure, which with a strength development model can lead to a better understanding of strength from formulation. Jeff finally gave a rally cry to increase the amount of quantitative data that is collected on oilwell cement slurry microstructures. Con Manias of FCT Technology next spoke about the use of real-time control of mineralogy of oil well cements using the COSMA instrument. The mineralogy of the clinker ultimately controls strength development, sulphate resistance, flowability, the 'free fluid' level of the cement, setting characteristics and behaviour with additives in the field. However, Con mentioned that many technologists in the field seem to think that 'cement has a mind of its own,' such that its performance is not predictable. Con refuted this position, stating that the 'continuous online stream mineral analyser,' COSMA, can quantitatively measure the mineralogy of clinker as it is produced, allowing the producer to fine-tune the process for consistency. The instrument uses XRD and Rietveldt techniques to quantify mineralogical phases as material is produced. The instrument can be used to control clinker and/or cement compositions, depending on its position in the plant, and can be used in conjunction with a particle size analyser for further material characterisation. Con suggested that a number of different factors affect cement quality in practice, including clinker phase composition, level of soluble alkali sulphates, clinker reactivity, cement particle sizing, gypsum dehydration states and the influence of additives such as fly ash, limestone, slag and grinding aids. Reza Farazmand of Kerman Cement, Iran, next spoke on the effect of dusty clinkers on the properties of Class G oil well cement slurries. Poorly granulated clinker can produce dust, through physico-chemical factors and process factors. The silica ratio may be too high, there may be excessive circulation of volatile components such as sulphur (from fuel oil for example), sodium and potassium, and high alite content can promote a stiffening of the melt and a loss of adhesion in the liquid phase, while a low level of liquid phase can also promote a dusty clinker. Process parameters that can affect the dustiness of clinker include the type of kiln, the uniformity of kiln operation, the kiln diameter, the type of fuel used, the temperature of the flame and the gas velocity. There are, indeed, many different influences on the dustiness of clinker, and reducing clinker dustiness is a non-trivial task. Reza Faramzad said that the size of alite and belite crystals is generally larger in dusty clinkers, nearly twice the diameter compared to normal clinkers. It was found that the thickening time of normal clinker cement was around 110 minutes, while the average thickening time for dusty clinker cement was 130 minutes (the API standard mandates a thickening time of 90-110 minutes). At 100°C, the compressive strength for cement produced from dusty clinker is significantly lower than from normal cement clinker, although it is still within API standards, but at a temperature of 140°C the compressive strength is lower than the standard stipulates. He concluded by saying that simply changing the fuel from high-sulphur fuel oil to a low-sulphur fuel fixed can avoid the production of dusty clinker. Karen Luke of Trican Well Service finished the programme for the day by speaking about the influence of particle characteristics on slurry performance. Particle size and shape can influence cement and/or additives movement, mixing and blending, hydration and cement performance. A number of different methods are used to determine particle size or surface area, including sieve analysis, Blaine air permeability or laser diffractometry for particle size distribution analysis. However, Karen suggested instead the use of optical microscopy particle characterisation with advanced data classification to determine subtle changes in particle size distribution and shape. Image analysis can give the circle equivalent diameter, as well as the number or volume-based particle size distribution, the circularity of the particles, the roughness of the particles and their solidity - whether they are open or solid. The system is adept at distinguishing cement particles from flyash particles in a blend, due to the increased circularity of ash particles. Karen suggested that fine flyash particles act as an activator for cement nucleation, by providing crystallisation nuclei for cement hydration. Along with a number of other limitations of the approach, Karen underlined that adequate particle separation is critical for accurate results. Particle characterisation can be related to cement performance, since the finer the particle the more reactive it is, while larger particles show greater retardation of strength development. Delegates took buses to an atmospheric Lebanese restaurant adjacent to the world's tallest building, the Burj Khalifa, for a convivial evening of oil well cement discussions. On the second day of the conference, which was particularly concerned with the performance of well cements in place, Constantin Tiemeyer of the Technical University of Munich started the day by speaking about the behaviour of class G oilwell cement under high temperature and pressure, particularly with regards to pore solution chemistry. He asked, "How does high temperature - of 27-150°C - affect cement hydration, and how does this affect the performance of additives?" Constantin showed that 'not much happens' at temperatures up to around 100°C, although gypsum is slightly decreased. Above 100°C, gypsum is consumed, ettringite decomposes, monosulphate is formed and portlandite is increasingly formed, demonstrating silicate hydration. Above 150°C, there is a rapid decrease in pore solution volume and this has been ascribed to the hydration of silicates. It had been thought that ettringite had been one of the main phases for the anchoring of additives, but ettringite is not present at the higher temperatures, posing the question of upon which mineral phases do additives work at higher temperatures? Further research on this crucial topic is required. Peter Boul of Halliburton next spoke on fluid loss control of Portland cement slurries using bio-polymers and synthetic clays such as synthetic hectorites. Synthetic bio-polymers are effective, but are typically not biodegradable and lose their effectiveness at temperatures above 150°C. Synthetic hectorite clays have a self-assembling 'house of cards' structure, causing a variable shear response and thixotropicity. The addition of bio-polymers to synthetic clays can be used to change their properties. Results show that dry-blending either uncoated or coated hectorite clays with Portland cement to produce a slurry reduces fluid loss down the hole, possibly indicating a lower permeability filter cake. Peter stated that the dynamics of fluid loss control depend strongly on the order of addition of synthetic hectorites and cement to water. Prehydrating the coated clays produces a more effective fluid loss slurry. Salami Taye of the Technical University of Munich next spoke on the effects of salts in sea water on high temperature fluid loss additive (FLA) polymers. Fresh water cement slurries are not generally applicable in drilling in salt formations, since not many additives are tolerant to salts. Salami used a humic acid as the base for a fluid loss polymer and through experimentation found that there was a strong negative effect of Mg2+ on the effectiveness of the FLA. However, delayed FLA addition to the cement slurry provides a successful mitigation strategy to overcome the negative effect of Mg2+ contained in seawater. Professor Johann Plank of the Technical University of Munich next spoke on the interface between cement and drilling fluid filter cake, and the impact on the sealing quality of oil wells. Professor Plank pointed out that the cement slurry does not necessarily interact with the rock of the well bore, but rather with a filter cake on the well wall instead. Previous studies (by Ladva et al, 2005) had shown that cement can dehydrate the mud filter cake, while at the same time there is a migration of water and minerals from the cement to the mud cake. Adhesion between the cement and the formation is decreased by a factor of 1000 to 100,000 because of the formation of a mud filter cake. Gas migration occurs at the mud cake-formation interface, and not within the cementitious matrix, with the formation of a micro-annulus. Expanding cements prevent gas migration by compacting the mud filter cake. Professor Plank asked the question, "Which interface (cement/filter cake/rock) provides the weak point?" After experimentation, it was found that in freshwater, saltwater and brine systems, the weakest zone was the mud cake/cement interface. However, high adhesive strength between the cement/mudcake/formation is only achievable when fluid loss of the drilling mud is controlled. In the brine system, there was very high adhesion between the mud cake and the formation, with no significant water transport likely along this interface. Significantly, in the brine system there was evidence of intermixing of the cement slurry and the drilling fluid, something that is scrupulously to be avoided in the field. Alf Jan Wik from the Norwegian company WellCem AS spoke about his company's product Thermaset, which is a multi-component non-reactive resin-based polymer with adjustable specific gravity and an operating range of -9 to 150°C, with temperature resistance at up to 320°C once cured. Thermaset curing is triggered by sufficient down hole temperature. Alf suggested that the cured product is significantly stronger than Class G oilwell cement, with greater elasticity, and can be used to kill or permanently plug leaking wells. He suggested that Thermaset will withstand contamination up to 50% by drilling fluids and still form a strong bond. The material can be used for remediate lost circulation wells, as an alternative cement for wells used for CO2 storage, for zonal isolation and for cementing of casing for low density systems, for example foam cement replacement. Three papers on nanotechnology for high performance oilwell cement came next, with Peter Weber of ceEntek first up. Peter spoke about the use of nano-engineered ultra-high performance concrete for leakage-free low maintenance oilwell cementing, and first pointed out that the methods for promotion of high performance are well-known, including reduction of water in the mix, improved packing of the binder, the use of reactive and inert fillers and advanced curing techniques. The incorporation of nano-particles (including carbon nano-tubes) can lead to very high compressive strength, improved flexural strength, low porosity, excellent adhesion and superior anti-fouling properties through the optimisation of the packing density and lower water to cement values. Carbon nano-tubes have a very high surface area, a high aspect ratio and extremely high tensile strength. Peter stated that the hydrophilic carbon nano-tubes can be homogeneously distributed in water without the use of surfactants. Matthias Schauert of the University of Siegen carried on the presentation by speaking about nano-particle-enhanced concrete foams, which use a prefabricated water-based foam for pore formation in the concrete, in order to create a material with a dense matrix and low porosity. Matthias created a cement paste with low water content, with a protein or tenside-based foaming agent to create a foamed concrete with very dense pore walls to reduce permeability. The concrete was found to have higher compressive strengths compared to normal autoclaved aerated concrete, while at the same time exhibiting improved thermal insulation properties. Addition of carbon nano-particles to the aerated concrete will also lead to enhanced durability and higher resistance against chemical attack. Peter Boul of Halliburton returned to the stage to speak about the use of swellable nanoclays in the design of heavyweight liquid-additive suspensions for the use in well-construction fluids. Liquid additives simplify the logistics of offshore cementing, since they can be stored on the platform, avoiding the use of excess dry blends and return trips to shore. Unpredicted overpressure is one of the most significant hazards encountered when drilling through salt zones in the Gulf of Mexico and the North Sea. With a heavyweight liquid additive, the density of a cement slurry can easily be modified on-the-fly, compared to a dry powder-based additive. Hematite, hausmanite (manganese oxide), copper oxide and barium sulphate are materials that are typically used to increase the density of well-construction fluids: hematite at 5.26g/cm3 is the densest of the three and was chosen as a target for use. Synthetic hectorites clays were used in conjunction with diutan gum (a high molecular weight microbial polysaccharide) in order to create a high gel strength and to suspend high concentrations of hematite, with no settling and with adequate viscosity for pumping. These high density liquid additives are stable for in excess of six weeks. Dr Muhammad Kalimur Rahman of King Fahd University of Petroleum and Minerals, Dhahran, Saudi Arabia, next spoke on the use of nano-silica in oil well cementing in HPHT applications. Dr Rahman pointed out that Saudi Arabia has 267 billion barrels of proven oil reserves, with more than 1500 wells. He suggested that worldwide 25% of wells fail as a result of bad cementing, while 80% of the wells in the Gulf of Mexico have problems with gas migration. It is now well known that in HPHT conditions, well cements suffer from reductions in compressive strength, while permeability may be reduced alongside a reduced Young's Modulus (stiffness). If one case, the problem was a loss of hydrostatic pressure before the cement developed its compressive strength down the hole. Accelerators, retarders, silica products, dispersants, density control, fluid loss control and defoamers are all additives that are used in well cements. Nano-materials are currently being used or being assessed for both well fluids and stimulation fluids. Silica flour and silica sand are used in oil wells to sustain cement strength in high temperature wells. Dr Rahman reported that the addition of nano-silica at 2-3% was not successful, due to a marked increase of viscosity. However, at a level of 1% addition of nano-silica, there was a successful modification of slurry properties with acceptable viscosity for pumpability. Nano-silica has the effect of delaying gel formation and will also reduce short-term compressive strength in the slurry, while also causing an increase in fluid loss rate. However the addition of nano-silica has no effect on free water levels, no effect on the reduction of shrinkage and expansion and causes a reduction of particle settling. Dr Andrea Assman of BASF gave the penultimate presentation of the conference on the use of calcium silicate hydrate seeding materials in oilwell cementing. Andrea reminded delegates that in the first phase of cement hydration, strength development is slow as a gel phase is created: calcium silicate hydrate crystals then grow in the acceleration period, adding compressive strength to the mix. Calcium silicates hydrate (CSH) development starts when crystals reach a critical radius, but below this size crystals may dissolve due to an energy barrier. Calcium silicate hydrate crystals of above the dissolution size may be added to the mix to promote the crystallisation of CSH in the pore volumes - and not only on the surface of cement particles - allowing simultaneous free diffusion of products and reactants. CSH seeds create dense networks and decrease permeability, while accelerating cement hydration. There is a strong reduction of 'wait on cement' time at low temperatures with CSH seeding. The relative efficacy of CSH seeding declines with higher pressure. Andrea suggested that CSH seeds are more than twice as effective compared to CaCl2 seeds, with no false setting or gel issues and no corrosion effects and that there is a more-or-less linear dosage to compressive strength gain relationship. CSH dosage can be reduced at elevated temperatures, while the use of CSH seeds reduces the transition time for well cements, with an anti-gas-migration effect. Andrea Assmann finally concluded that CSH seeds are most effective at low temperatures, which should be beneficial in deep water and/or arctic environments. Dr Rouzbeh Shahsavari of Rice University in the US spoke about the challenges of concurrent tuning of ductility and strength in oilwell cements. Typically there is a conflict between strength and toughness, although a number of biological materials such as antler, bone, silk and enamel have nano-composite structures that manage to combine both toughness and stiffness. A number of synthetic analogues have been formulated, where often the interface between the phases proves to be the weak point in the material. Dr Shahsavari spoke about CSH-polymer composites and concluded that there is an optimum range of overlap length of material phases and in material characteristics contrast for which the composite is both strong and tough. Rouzbeh suggested that self-assembling composite nano-particles of square or rectangular shape could be used in the future to create very high performance low porosity cements that would have applications as oil well cements. After the end of the presentations, the conference broke up into four discussion groups, looking at market trends, cement production, quality control and well cement additives. Discussion was lively and well-informed, and was enjoyed by all participants. At the Farewell Party on the hotel's Arabian Terrace, the best presentations awards were given out, based on delegate votes and normalised to the number of delegates in each presentation. The third prize winner was Salami Taye of the Technical University of Munich, for his paper on the effects of salts on high temperature fluid loss polymers. In second place, also from the Technical University of Munich, was Professor Johann Plank for his paper on the interfaces between oilwell cement and filtercake. In first place, winning the inaugural best oilwell cement conference best presentation prize, was the paper on 'How to make consistent oilwell cement,' by Heiko Plack and Stefan Schomberg of Dyckerhoff. Following very strongly positive feedback by conference delegates, the 2nd Global Well Cem Conference and Exhibition will take place at The Woodlands, Houston, Texas, in January 2015. We look forward to seeing you there! Exhibitors have access to stands at 15.00. Registration opens at 19.00 (Serdaal ballroom). 17.30 Global Well Cem Exchange - Delegates break into smaller special interest groups (oil well cement production, cementing, HPHT conditions, cement resilience) for ongoing discussions.